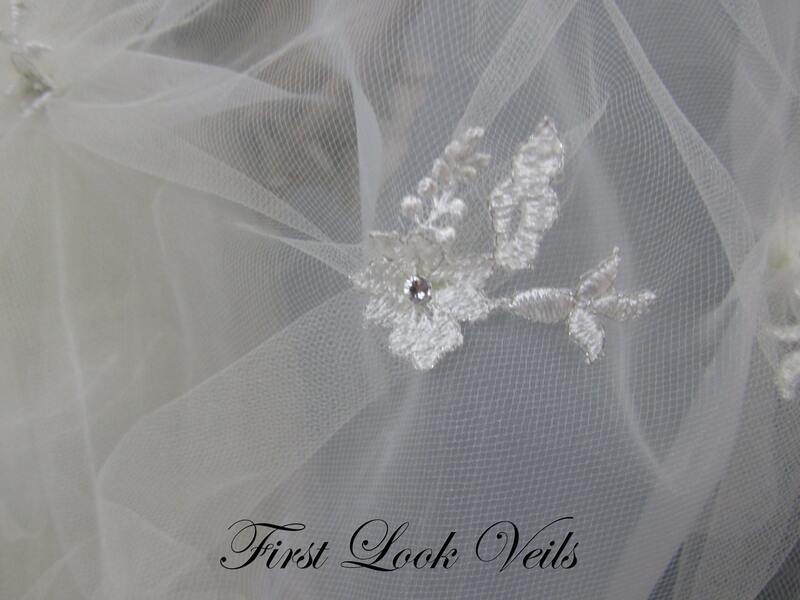 THE STYLE: Another elegant handmade wedding veil in our "Pick Up Veil" Collection. 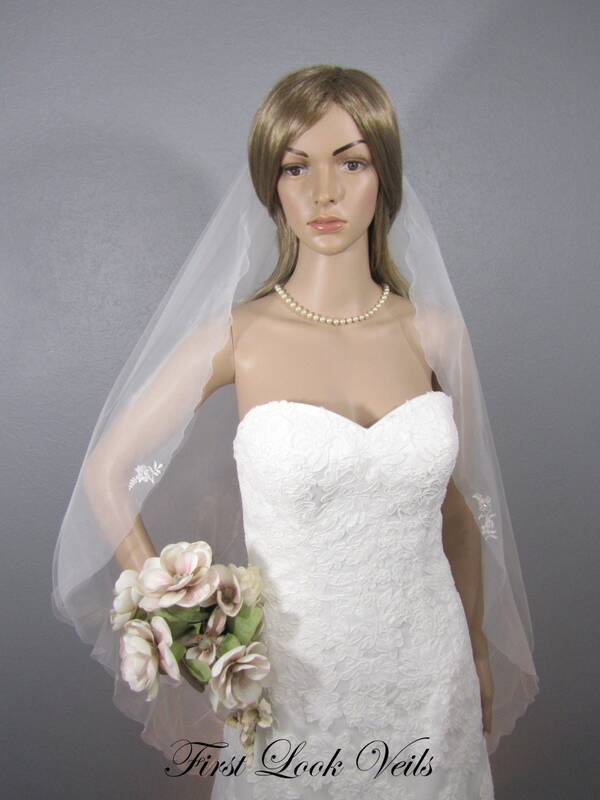 This fingertip ivory veil features an organza layer beneath the Bridal Illusion tulle layer. 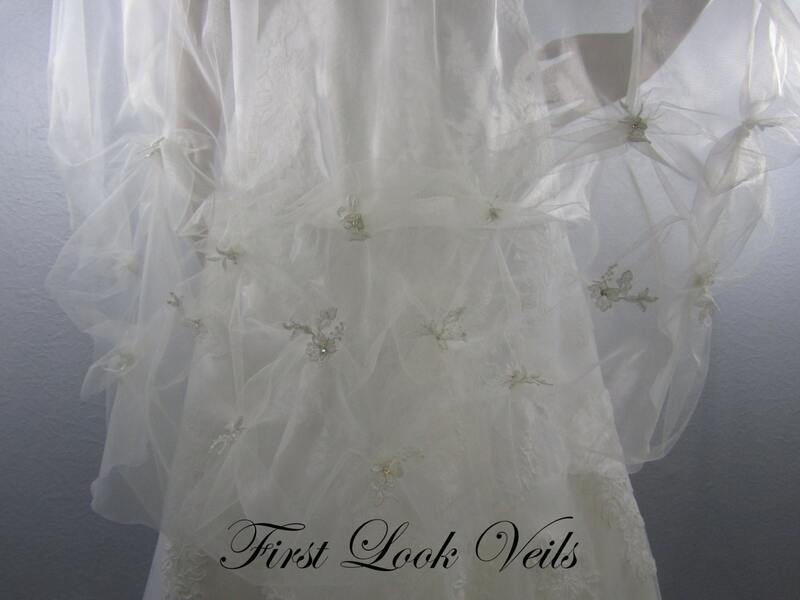 The pick ups create waves along the lower edge of the veil and each pick up is highlighted with a lace and crystal motif. The organza edge is heat sealed to form a delicate ripple along the edge. 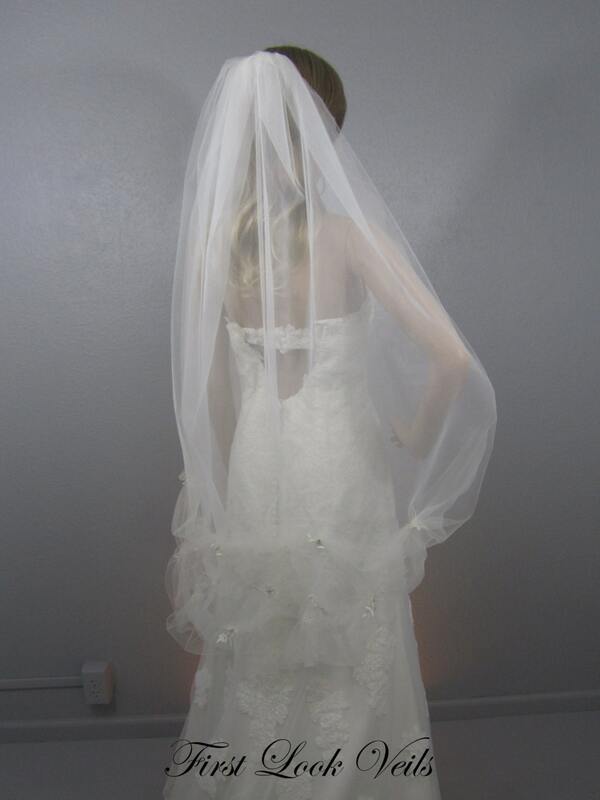 ILLIUSION TULLE: It is designed from good quality soft bridal illusion tulle. Bridal illusion tulle is a lightweight tulle with fine, diamond-shaped holes. It is a light material and drapes well while still holding its shape. It is widely used in bridal veils and is nylon which holds up well in damp weather. 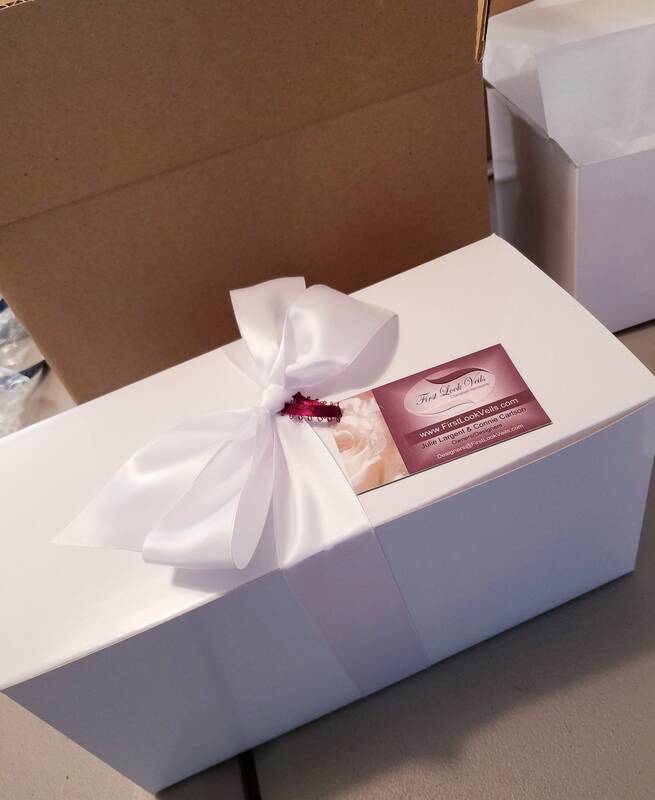 The bottom layer is a quality organza fabric.